Globe and Mail Discovers "Seduction of the New Nanaimo"
The Globe And Mail newspaper took an in-depth look Friday at the real estate market in the Vancouver Island city of Nanaimo, as it caters to Vancouverites seeking solace from big city prices. "There’s a new resort destination – it’s 20 minutes from downtown Vancouver and for less than half a million dollars, you get a two-bedroom, 1,100 square foot apartment with a waterfront view," writes the Globe's Kerry Gold. "It’s the Vancouver Island city of Nanaimo, which has turned from a worn out and empty mill town into the kind of cozy seaside city where restaurants are housed in heritage buildings and the ocean views are about as spectacular as it gets on the West Coast. In other words, it’s close to becoming a resort town, where Vancouverites in search of affordable waterfront property can go for a weekend getaway." Gold tells readers about Dwayne Yaretz, who lives in Vancouver's Yaletown neighbourhood, and who bought a 1,250 square foot waterfront apartment in Nanaimo in 2005 for less than $500,000. He uses the two-bedroom property as a weekend getaway, accessible by a 20-minute seaplane flight, steps from his downtown office. Gold explains that, "for several years, the City of Nanaimo has been offering incentives to revitalize the economy of the downtown core, and it’s worked. There is the new Vancouver Island Conference Centre, restaurants in heritage buildings, a four-kilometre seawall, boutique stores moving in, and tourists and locals walking around the streets." The Nanaimo Daily News is reporting that retirement hot spots of Parksville and Qualicum Beach, which have some of the "greyest" populations in Canada, are examining how best to move their economies forward as the number of retirees heading to the region continues to rise. And, the paper says, it's a process that has already sparked debate. Last week, Gary Child, president of the Parksville and District Chamber of Commerce, slammed local municipal policies such as Qualicum's population cap, claiming that they would stifle economic growth. He also told the Daily News that there is a general community attitude "opposed to any change or growth." Several community leaders in the Oceanside region agreed. Both municipalities are reviewing their official community plans. But Parksville and Qualicum Beach, where the percentage of population over the age of 65 is 34% and 41% respectively, are not the only locales in central Vancouver Island drawing large numbers of retirees. The province forecasts the number of people aged 65 and older make up 32.1% of the population in the Regional District of Nanaimo by 2031, up from 24.6% for 2010. A growing aging population is expected to have a noticeable impact on the Island economy. Certain job sectors that cater to older people, such as medical fields, will grow more rapidly while also allowing the opportunity for more unique senior-focused businesses. However, older people typically aren't big spenders, said Ken Thornicroft, a professor of law and labour relations with the University of Victoria's faculty of business. "Whether you're talking about food or whether you're talking about clothing or meals in restaurants, there are different consumption patterns," he said. The number of single-family housing starts would also drop, said Thornicroft, as seniors bought up condominiums and other higher-density homes. Jim Stewart, president of the Vancouver Island Real Estate Board, said an aging population will have a positive affect on the local housing market because older people are more likely to have their homes paid off. This provides more stability in the market, he said. New federal legislation will make it easier to develop large-scale real estate investment, including condominium projects, on First Nations-owned lands such as Goose Spit, says the Canadian Real Estate Association. Bill C-24, the First Nations Certainty of Land Title Act, allows the development of commercial real estate economic on reserve land to create economic development opportunities. Until now, such projects have been hindered by lower values for on-reserve properties due to differences in the property rights regime on and off reserve land. Until now, according to Douglas, there was a resistance among lenders and buyers when it came to development and purchase of properties connected to First Nations land. Access at Goose Spit, the tip of which is KFN reserve land, has been a serious roadblock during treaty negotiations between the K’ómoks First Nation, Victoria and Ottawa. Douglas said he believes a resort rumored for development at the end of the spit could be traded in return for access or another bargain on a different piece of land in the Comox Valley. The Canadian Real Estate Association (CREA) has released statistics suggesting that stability has been the trend in national average prices, with the average home price coming in at $331,089, similar to where it was in September 2009. Marty Douglas, a director on the Vancouver Island Real Estate Board, said housing statistics often tell different stories, depending on which numbers are considered. For example, the average price of a single-family home in the Comox Valley for September was $327,049, a drop when compared with the average price of $334,779 for September 2009. But Douglas said the 12-month average (September 2009 to September 2010) price for a single-family home was $345,287, a significant increase over the September 2008 - September 2009 average of $335,329. However, Douglas said that less overall fluctuation in housing prices was indicative of a market that is in between the upswing and downswing of consumer demand. He estimates that in the last 12 months, an average of 1,535 homes have been sold in the Valley, compared to the 19-year annual average of 1,551. Douglas said low interest rates caused buyers to opt in to the housing market in larger numbers earlier in the decade, draining the market of customers today. Construction is nearing completion for Claddagh Estates, the 17-lot oceanfront subdivision located on 10-hectares on Kye Bay Road in Comox on Vancouver Island, BC. The roads have been built and paved and the landscaping is completed. 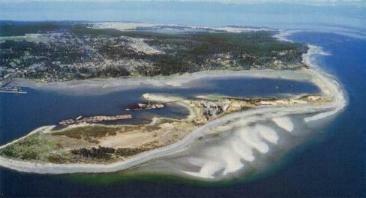 Twelve of the 17 lots include 100 ‘ of oceanfront. Prices of the large lots start at $375,000. The lots in this subdivision vary in size from .75 to 2 acres. Qualicum Landing is the fastest selling Vancouver Island waterfront development and on October 23rd, Qualicum Landing will be holding their next Selection Day. Selection Day is an effective way for buyers to choose the Vancouver Island home and location they want and to secure their property position. This provides the buyer time to research the Vancouver Island waterfront development, tour the community and make an informed decision at their leisure without losing their preferred lot choice. Selection day also offers special pricing on select homes, but you must register to take advantage of these savings. This Vancouver Island waterfront development is also offering an opportunity experience “Life at the Beach” through their Fly and Buy Program. This allows you to join the Qualicum Landing community by staying a night in one of their luxury three bedroom Vancouver Island homes, swim in the pool, tour the community and see why it is called Oceanside “Canada’s Riviera”. West Jet offers daily direct flights to Comox from Calgary and Edmonton. The Fly and Buy Program is based on availability and you must be registered for Selection Day to qualify. To learn more about Qualicum Landing, visit 1stView.ca. The Texada, located in Nanaimo on Vancouver Island is offering (on the next two deals) one year free strata fees and a $10,000 pre-paid credit card to spend however you wish. These luxurious Vancouver Island homes in Nanaimo offer breathtaking ocean views of the Georgia Strait and Coastal Mountains. This Vancouver Island real estate development has a contemporary West Coast design, oversized decks and main floor terraces. The Texada is recognized as the place to buy a luxury Vancouver Island condominium. The Vancouver Island development of The Texada has the latest technology which has been incorporated into the construction that includes Rain Screen protection plus No Burn retardant, providing security and comfort for the owners. To view these Vancouver Island condominiums visit The Texada during their open house hours from 11am – 6pm daily except for Friday. To learn more about The Texada visit 1stView.ca. In September 2010, there were 298 housing starts recorded across urban Vancouver Island centres, according to Canada Mortgage and Housing Corporation (CMHC). Nationally, the seasonally adjusted annual rate of total housing starts dipped to 186,400 units in September. In British Columbia, September’s seasonally adjusted rate of urban housing starts moved higher to 26,500 units, from 24,900 units in August. For more information, and to download CMHC’s housing reports, please visit CMHC. Corinthia Estates is a nestled between the 6th and 7th fairways of the prestigious Crown Isle Resort and Golf Community, located in the Comox Valley on Vancouver Island. These luxurious Vancouver Island golf course condominiums offer views of the golf course, the Coastal Mountains, the Beaufort Range and the legendary Comox Glacier. Features in these Vancouver Island homes include an open concept living area, maple cabinetry, granite countertops, kitchen islands, heated ceramic tile flooring, 9-foot ceilings, hardwood floors, deluxe ensuites, 5x5 full body massage jetted showers and NHW, low E smart glass, spacious decks, and a 10 year warranty. Corinthia Estates at Crown Isle has just sold another one of their golf course condominiums. These Vancouver Island homes are available for viewing every Saturday from 11:30 to 12:30 at Crown Isle Resort & Golf Community in the Comox Valley. To learn more about Corinthia Estates visit 1stView.ca. Overview of the Surety Market Place. Attendees will come away with a better understanding of the ‘whys and wherefores’ of bonding and why it is an important part of the Vancouver Island construction industry. More importantly, Vancouver Island Construction Association members will learn “what’s in it for me”, and how to access the benefits for their companies. Carole Bissett, Construction Surety Services, Jardine Lloyd Thompson Canada Inc.
To learn more about Vancouver Island Construction Association visit VICABC. Qualicum Landing, a Vancouver Island real estate project offers residential resort living on over 15 acres of pristine beachfront, overlooking the Georgia Strait. Each of these Vancouver Island homes has been carefully designed to maximize space for comfortable living and is built by award winning Palladian Homes, one of Vancouver Island’s most prestigious builders. Qualicum Landing is a master planned Vancouver Island waterfront community. The clubhouse features a heated outdoor swimming pool, a fitness centre, two hot tubs, expansive decks for sun bathing, a wet bar, games room and an owner’s lounge. Additional features include a sport court, community garden and waterfront recreational area complete with picnic tables and a fire pit. An open house of these Vancouver Island oceanfront homes is held daily and pricing starts at $399,000. The next selection day will be held on October 23rd. A selection day is a proven effective way for buyers to choose the home they want in the location they want and secure their property position. This allows the buyer time to research the Vancouver Island development, tour the community and make an informed decision at their leisure without losing their preferred lot choice. Selection day also offers special pricing on select homes - although; you must register to take advantage of these savings. For more information on Qualicum Landing or to register for the next Selection Day visit 1stView.ca. Vancouver Island Real Estate Board (VIREB) released the Multiple Listing Service (MLS) sales summary data for September 2010 which shows declines in unit sales on Vancouver Island compared to 2009. There were 267 sales of Vancouver Island single family properties in the VIREB area through the MLS in September 2010, down 41% from the 449 sales in September 2009. In September of this year, 679 single family Vancouver Island homes came on the market in compared with 687 in September of last year. The Cowichan Valley slid 11% to $313,363. To read more about the September Statistics, visit VIREB.